A special Valentine’s Day at home isn’t complete without dessert. This Caramel Pear Cheesecake is the perfect way to tell the one you love, “We make a great pear!” Top it off with candied walnuts and chocolate sauce, and you have a decadent treat to share. Valentine’s Day reminds us that healthy relationships are sustained by both love and effort. Just like you strengthen your relationship by encouraging and supporting your partner, South Dakota farmers show their love for the land by implementing sustainable farming practices. You might be surprised to know that 90 percent of U.S. soybeans are grown sustainably. Practices like conservation tillage keep the soil healthy and precision technology in equipment help farmers apply less pesticides. How sweet is that? No matter how you celebrate Valentine’s Day, you can feel good knowing that local family farms are growing your food in an environmentally friendly way. Watch this video for a step-by-step tutorial on this delicious dessert for two or more. Looking for another sweet treat? Try these Maple Marshmallow Mash-Up Bars from Brookings blogger Staci Perry. Combine graham cracker crumbs, sugar and butter. Press mixture onto bottom of 9-inch springform pan. Place a layer of sliced pears on top of crust. Drizzle with caramel. Beat softened cream cheese, sugar and vanilla with mixer until blended. Add eggs, one at a time, mixing on low speed. Pour mixture over crust. Bake 55 min. or until center is almost set. Turn oven off and do not open door. Let sit in warm oven for roughly 45 minutes – 1 hour. Take out of oven. Run knife around rim of pan to loosen cake. Cool on counter for 30 minutes then remove rim of springform pan. 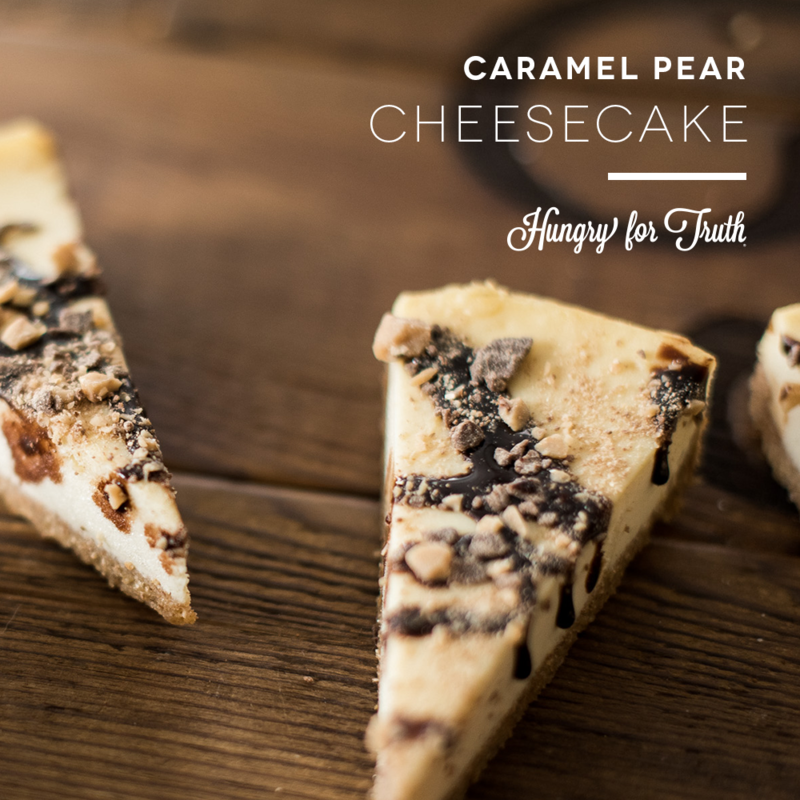 Top cheesecake with another layer of pears, drizzle with caramel and chocolate sauces and sprinkle crushed toffee on top.